Bryan Cranston is to make his UK theatre debut in a new stage adaptation of Network, directed by Ivo van Hove at the National Theatre. It is one of several new productions announced by the NT, including Macbeth – starring Rory Kinnear and Anne-Marie Duff – and work by Annie Baker and Rory Mullarkey. 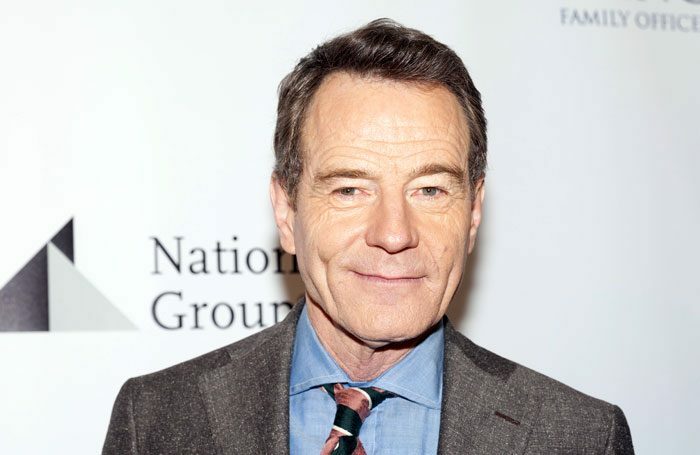 US actor Cranston, best known for his role in the hit series Breaking Bad, will star in Lee Hall’s new adaptation of 1976 satirical film Network, originally written by Paddy Chayefksy. The production, in the Lyttelton, sees Van Hove return to the National, where his Hedda Gabler is currently running. It opens in November, and has set and lighting design by Jan Versweyveld, sound by Tom Gibbons, video design by Tal Yarden, costumes by An D’Huys, and music by Eric Sleichim. NT director Rufus Norris will helm a new production of Macbeth, starring Kinnear in the title role, alongside Duff. This will run in the Olivier in spring 2018. In a conference at the NT, Norris said he had originally pitched the idea to a theatre in New York around seven years ago but the production never came off. Kinnear and Duff starred in the Macbeth segment of the Shakespeare’s Globe’s Complete Walk project last year, which Norris said was “the reminder [he] needed” to revive his plans. In addition, Duff stars in the previously announced Common – by DC Moore and directed by Jeremy Herrin – which opens in the Olivier in May. It will also feature Trevor Fox. Also on the Olivier stage will be a new “epic folk play” by Rory Mullarkey, called Saint George and the Dragon. Directed by NT associate Lyndsey Turner, the production opens in October. Design will be by Rae Smith, lighting by Bruno Poet, music by Grant Olding, choreography by Lynne Page and sound by Christopher Shutt. The Olivier will also host the return of Peter Shaffer’s Amadeus, which ran to critical acclaim last year. Lucien Msamati and Adam Gillen have been confirmed to reprise their leading roles in the production, which opens in January 2018. People, Places and Things – which ran at the National in 2015 before transferring to the West End – has confirmed a transfer to New York’s St Ann’s Warehouse, as well as a UK tour. Denise Gough is set to reprise her leading role for the US transfer in October, with casting for the UK tour yet to be announced. Meanwhile, John Tiffany has been confirmed to direct a new musical production of Pinocchio, written by Dennis Kelly and with songs and a score adapted from the original Disney film by Martin Lowe. It opens in the Olivier in December, presented in special arrangement with Disney Theatrical Productions. Following The Flick, which ran in 2016, Baker returns to the NT with the European premiere of John, which will run in the Dorfman. It is directed by James Macdonald and features Georgia Engel in the cast. Also in the Dorfman will be Rob Drummond’s new one-man show about democracy, The Majority. Directed by David Overend, it runs in August and will be followed by the world premiere of David Eldridge’s Beginning, directed by Polly Findlay. 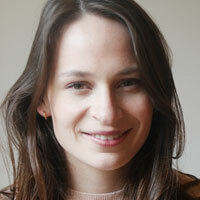 The NT present 12 new plays over the next 12 months, half of which are written by women. The newly announced productions follow confirmed runs of Yael Farber’s Salome, Lindsey Ferrentino’s Ugly Lies the Bone and Angels in America by Tony Kushner. Anna Maxwell-Martin also returns to the Nt, alongside Daisy Haggard and Ben Chaplin, in Nina Raine’s Consent. Dates for NT touring productions – including Brexit response play My Country; A Work in Progress – have also been announced, with plans to visit a total of 47 UK venues in 2017-18. Alongside its work, the NT has committed to doubling the number of low-price seats it offers to young people. Its Entry Pass scheme will increase the number of seats it offers to under-25s to 25,000 in 2017, with allocations for all shows. However, tickets will increase from £5 to £7.50.